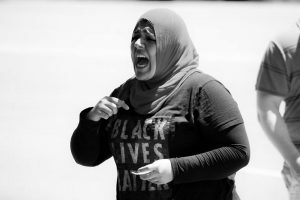 The American Muslim Advisory Council (AMAC), first appeared in 2011 as an organization to “build bridges” between law enforcement and the Muslim community. 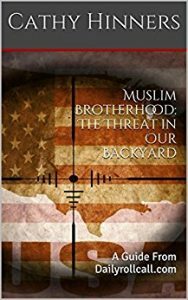 With governor Bill Haslam of TN legitimizing them, they were allowed (and still are) to train law enforcement (actually, indoctrinate) about Islam. This was the foot in the door they needed to gain access to those who are heads of TN law enforcement agencies, but also created a connection for them to network with elected officials. As they evolved, they became involved with the interfaith movement, immigration and refugee rights, and now, police accountability. 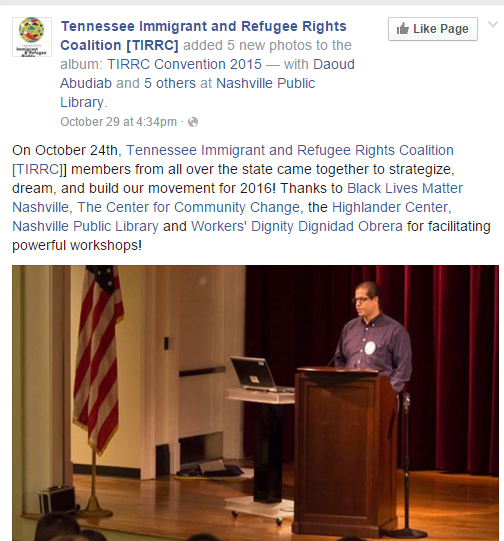 In Nashville Tennessee, the Metro Police department is being scrutinized by “social justice” blocs who are demanding accountability in the form of a community oversight board. Police across the country are also facing the same uptick of these civilians demanding they have a say on policy and procedures. A dangerous trend unfolding is the antisemitism embraced and endorsed by members of groups rising calling for police accountability. 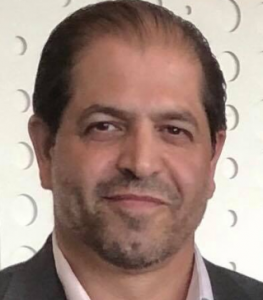 While the American Muslim Advisory Council (AMAC) publicly espouses focusing on “building bridges through working with people of goodwill to counter hate, bigotry and targeted violence”, their members loudly espouse the opposite. 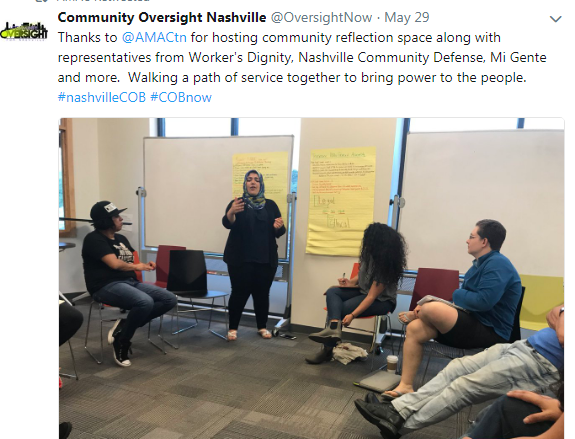 Drost Kokoye is one of the more radical, outspoken members of AMAC, and while AMAC may not be listed publicly as a coalition member of Nashville’s Community oversight board, they are quietly behind the scenes. 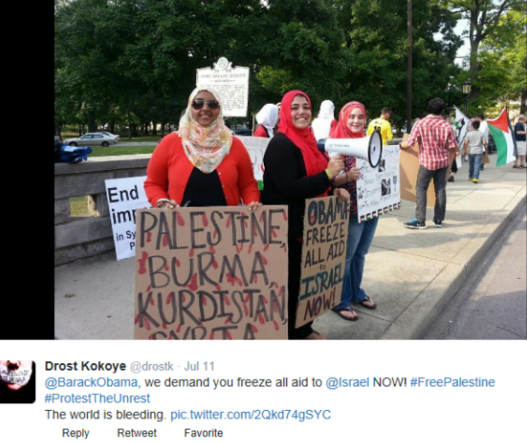 Note: The American Muslim Advisory Council has received thousands of dollars from…George Soros. To come full circle, you must understand the underlying goal for all the groups, individuals and organizations written about. To many, it is overwhelming and difficult to even fathom the depth and scope of the infiltration, and desire to dismantle and destroy America. Every group purposely creates offshoots to cause confusion. Many use religion as a guise, while others use immigration , discrimination in “marginalized communities, or police brutality. The bottom line is the fundamental change of the demographics and culture of America. 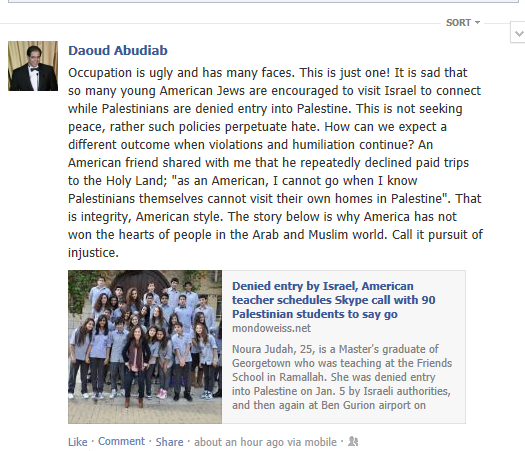 They are not grassroots, or meant to build bridges, promote tolerance or understanding. They exist for one purpose, to create the downfall of America as we know it. Next → Next post: Is the Left Setting Up Incidents for Sympathy and Support?